This is the time of year when all the hard work athletes put in during the season starts to pay off. Athletes from the Woodstock Club competed in multiple tournaments for their schools and in the Western Ontario Badminton Association (WOBA) Open this past weekend. 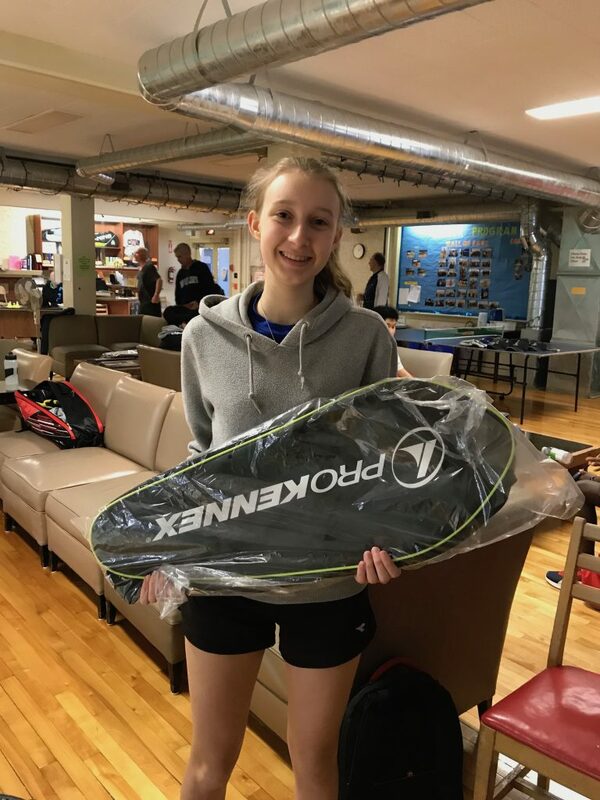 Kristen Anguish had an amazing week as she won the WOBA ladies singles tournament and placed second at her school’s regional qualifying tournament to earn an invitation to the Central Western Ontario Secondary School Association (CWOSSA) badminton tournament. Way to go Kristen! Derek Neeb and Matt Wilker competed in their Thames Valley Regional Athletics (TVRA) qualifying tournament to earn a spot at the next TVRA tournament, taking place this Wednesday at Glendale High School in Tillsonburg. Neeb and Wilker, competing for two different high schools met each other in the semi-finals of men’s singles with Neeb beating Wilker in two straight. Wilker then dropped to the consolation side of the bracket, won his next match and met Neeb again in the finals, which he won in three games! In a double elimination tournament format, Wilker had to beat Neeb in two straight matches for the title and ultimately Neeb prevailed to win the title. The two athletes represented themselves, our club and their schools well and put on quite a show for the spectators. Matt Zu and Edwin Santhosh competed in their school qualifying tournament as well, finishing first and second respectively. All in all, a tremendous week for athletes that train as part of the Youth Program at the Woodstock Badminton Club. Way to go everyone! ← Woodstock High Performance Squad Rocks it in Leamington!